2. a feeling of warm personal attachment or deep affection, as for aparent, child, or friend. 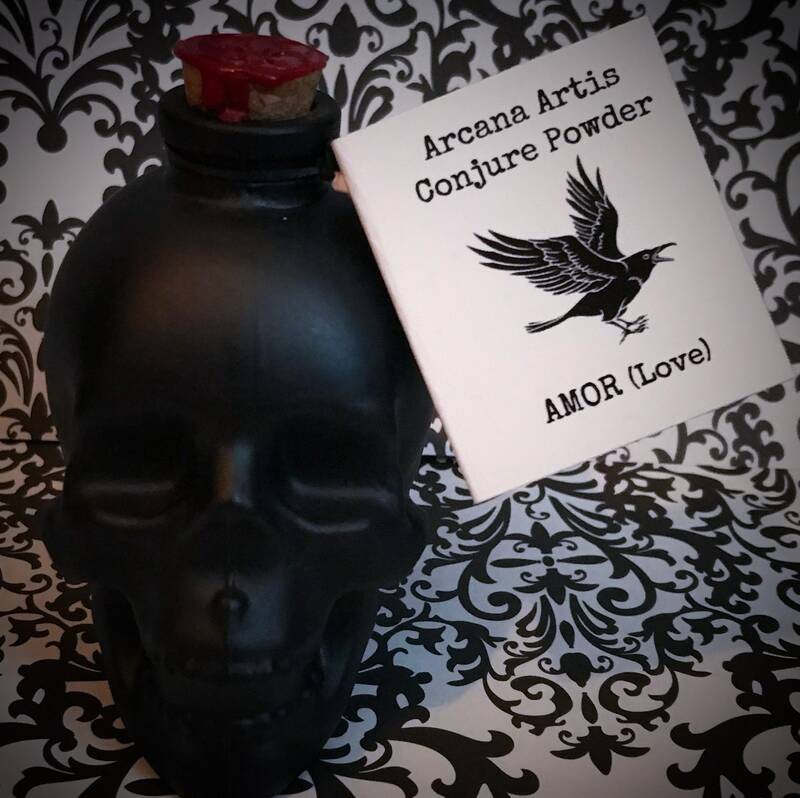 This listing is for one bottle with 30 grams of AMOR Conjure Powder. 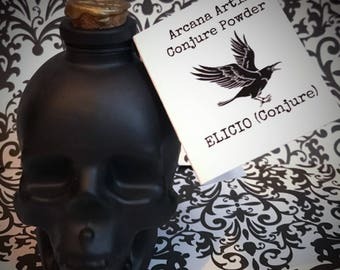 The bottle (black glass corked skull shaped bottle with wax seal) measures 3.75” x 3”. It also comes with a	label card that has usage suggestions and directions. 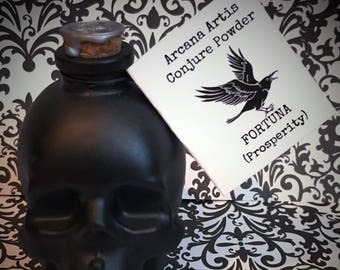 Every Arcana Artis Conjure Powder is Amalgamation of 7 or 13 Mystical Herbs and Resins Conjured For Magickal and Ritual Intent. 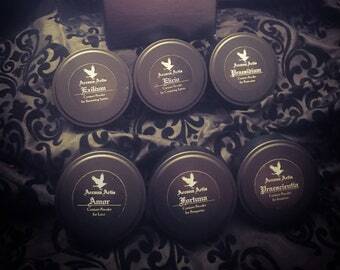 These custom fusions are formulated by The Madame herself, based upon the specific workings for each blend. She blends and bottles small batches of each powder herself, in-house. 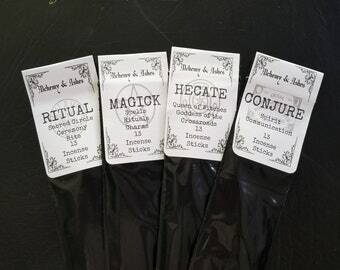 ★ Burn 1⁄2 teaspoon on a charcoal tablet at a time as incense. 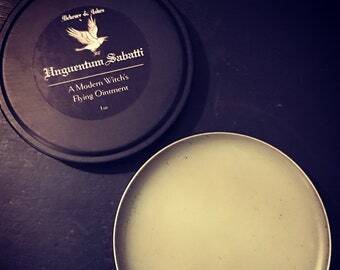 ★ Sprinkle powder into pooled wax of jar candle as a candle dressing. 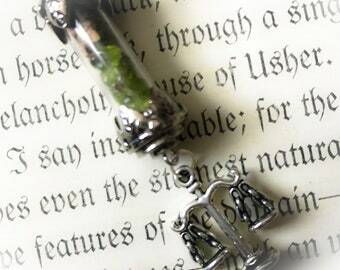 ★ Sprinkle around area of ritual. 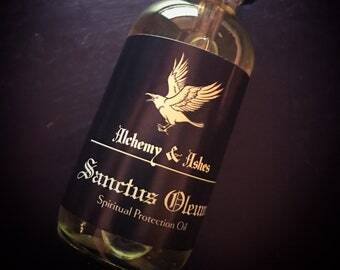 ★ Add to oil and anoint yourself before magickal workings. 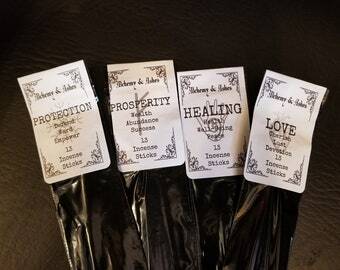 Although these blends may smell tasty, they ARE NOT FOR INTERNAL USE! So, if you were thinking about it...Don’t. Just. Don’t. 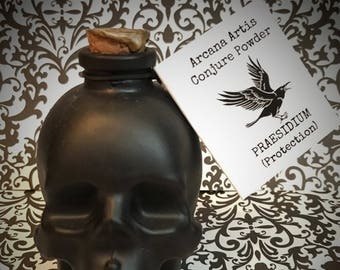 ☾ Check our our other Conjure Powders and incense here ..
☾ Looking for more ritual use items? 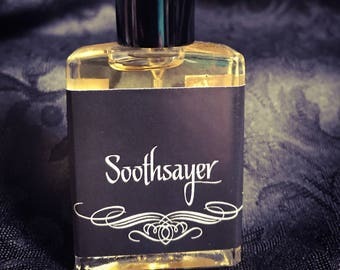 The Madame also hand makes our SANCTUS AQUEUM (Florida Water/Holy Water), which can be found here…. I am in love with what I ordered! Beautiful, and the smell is tantalizing. Everything about this pure and you feel it’s power immediately. Delivery was spot on! Will absolutely order again. 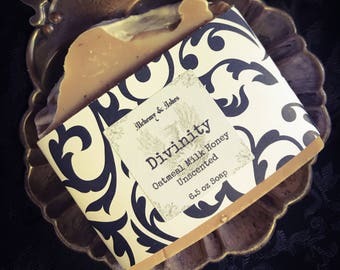 smells really good! I burnt some as soon as I got it! 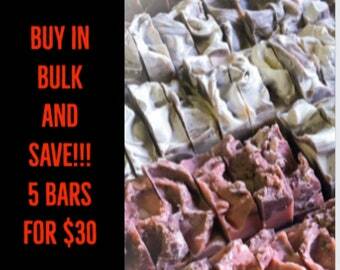 Your store its name your product and your packaging have blown my mind I will be back!! The best seller I have ever encountered.